Gateway to Zion - Sleeps 8! Private entrance with full kitchen, two bedrooms, spacious living area. This is a perfect place for outdoor enthusiasts. ATV riding is legal on the road, from this location to your trailhead. We are a half hour scenic drive to Zion National Park. There are a variety of hiking trails throughout Hurricane and St. George. 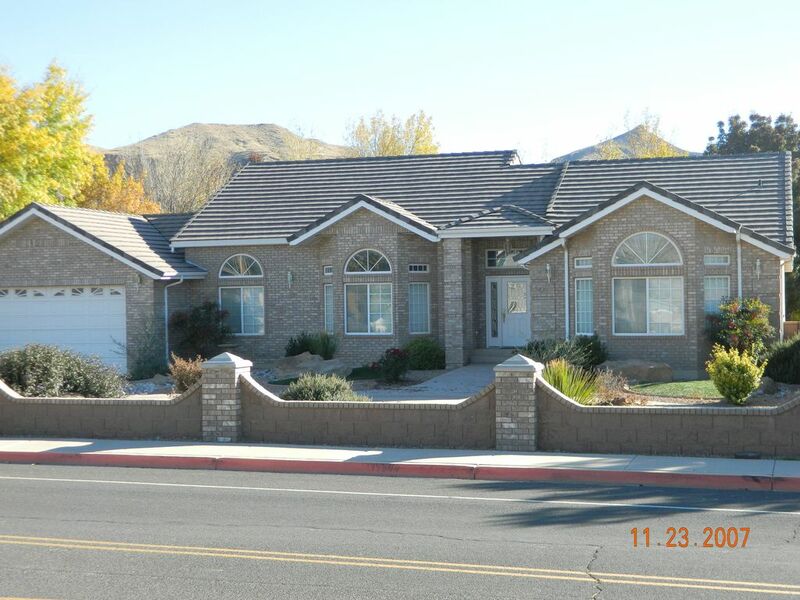 We are just 10 minutes from Sand Hollow, Coral Pink Sand Dunes, and Quail Creek Reservoir. Kolob reservoir is just one hour scenic drive away, if you enjoy camping and fishing. There are several golf courses 10 minutes away. 50 minutes away is Brian head ski resort. 35 minutes away from Tuachan Ampitheatre. Yohu will be 1.4 miles away from gas stations, restaurants, and a Cinemax theatre. Located in a quiet and safe neighborhood away from all the hustle of city life. You can kick back and take in the beautiful scenery. Plenty of twinkling stars to see at night, and you might even hear the hoot of an owl. You'll have private living quarters with a full kitchen in this basement apartment. Your place is furnished with everything you need to feel right at home. There's a 55 inch TV and Xbox gaming console with games. A separate entrance to this apartment through the garage and down the stairs. There's plenty of parking on the property for your vehicles and ATV's. I have lived in Southern Utah with my husband and five children for over 25 years. Its a beautiful place in the desert. And still a small town atmosphere. Our home is located in the Hurricane south fields in a very safe neighborhood. Lots of stars to see at night and quiet surroundings, makes this a great place for rest and relaxation. In the evening you can enjoy lots of grass and a walking/jogging track at our intermediate school just across the street. Close to grocery store, and restaurants. Our area is in the best centralized location for visiting the parks, atv/biking access, and purchasing value. Zion National park 30 minutes away. Bicycling, public pickle ball court nearby 5 minutes away. Tennis courts 5 minutes away. Hiking trails nearby. Excellent place! Nice and clean and very comfy! The apartment is very nice with plenty of room. It had a great kitchen were we prepared all of our meals. They were very accommodating and gave us space to secure our Mtn Bikes. Great location, between Zion and St George so we were able to partake of the fun trails in both areas for biking and hiking. We would stay here again! This is a very spacious basement apartment that has everything you need for a great vacation. We really liked built-in bookshelves with books and computer with Xbox for younger kids. Kitchen was well stocked with pots, plates, utensils and containers and much more. Internet was very fast. We would definitely recommend this place for anyone, singles or families. We’re so glad you enjoyed your stay! fantastic location , easy to get there , easy to go to all parks. 5 star. The apartment has two very comfortable bedrooms, bathroom, kitchen and living room. Hurricane is a small town so everything is in close driving distance. Zion is about a 45 minute drive away. The neighborhood where the house is quite and nice for an evening stroll. All stores and restaurants are a short drive away. A wonderful clean and spacious place. Hosts were very friendly and accommodating and helpful since we had the wrong pass code to get in. Best place on our 2 week vacation. Since it is a basement, only a little natural light, but wonderful interior lighting. Thanks for staying with us, it was a pleasure hosting you! !